Charming, chill and affectionate, I am one perfect cat! At 8 years old I’ve learned a thing or two about life. I know that sunny spots are the best for laying, feather toys are best for playing and that there is absolutely nothing better after a long day that cuddling on the sofa with my people. Life is no fun without friends, so I have made it my mission to befriend everyone! I am great with cats, dogs and kids and there is no better companion for quietly sharing your morning coffee with. Do I sound like buddy you have been looking for? 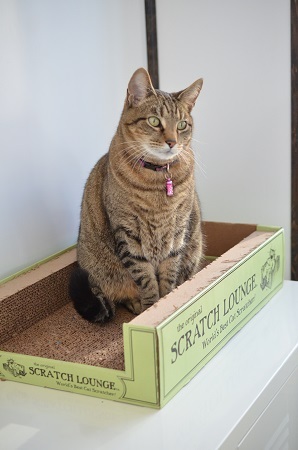 Meet me today at the Pixie Project cattery! I am fixed, vaccinated and microchipped. My adoption fee is $100.